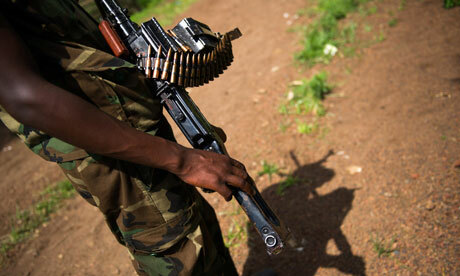 We discuss the situation in the Democratic Republic of Congo, where M23 rebels are moving towards the capitol. We discuss the situation in the Democratic Republic of Congo, where M23 rebels are moving towards the capitol. We’ll speak with Errol Henderson, Associate Professor of Political Science at Penn State, Ray Winbush, Director of the Institute of Urban Studies at Morgan State University, and Abayomi Azikiwe, Editor of the Pan-African News Wire. Dr. Zekeh Gbotokuma, Associate Professor of Philosphy at Morgan State University, wrote a statement on his 2009-2010 visit to the Democratic Republic of Congo, his native land.